This web page is intended for discussion only. It does not depict a final design or an approved project. In this image dated 4/2/2015, the relative location of the 7 hangars adjoining runway 24 is displayed. The hangars must be 150′ from the edge of the runway. What is the required distance between the south end of the hangars (??) and the private parcel south of the hangars? 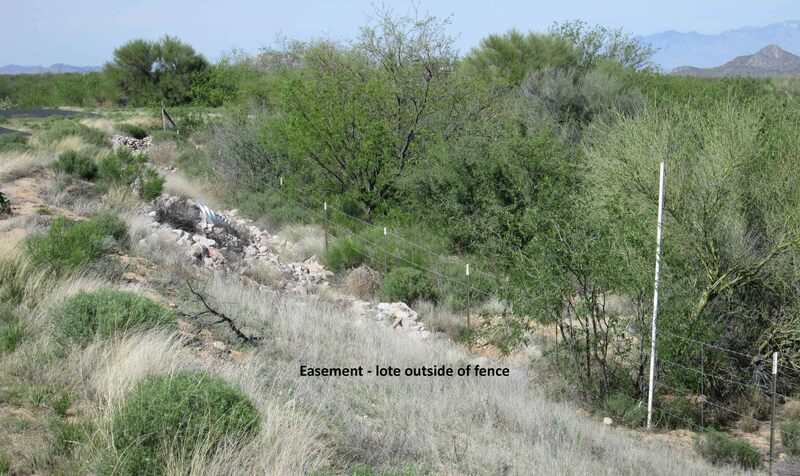 The next photo depicts the western boundary of the easement. 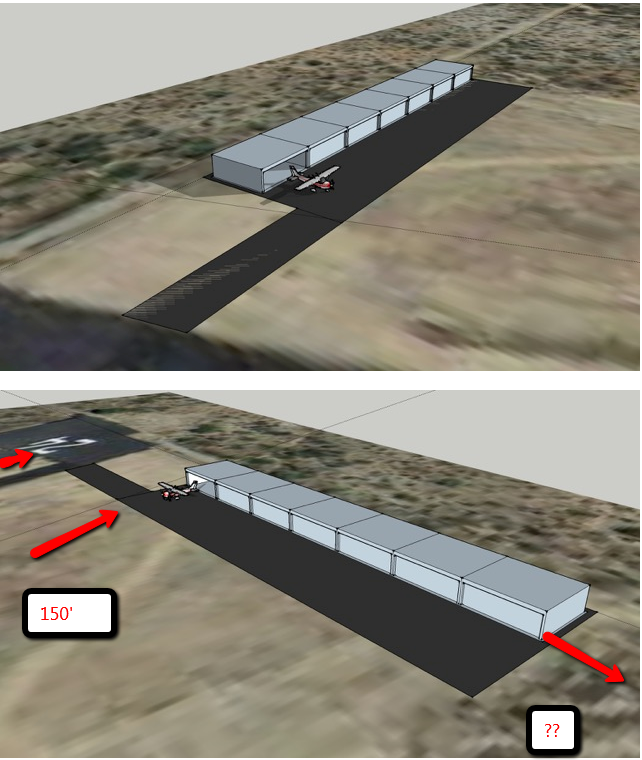 According to the poles, the hangars & taxiway needs to be moved to the west. The final taxiway to 24 could be angled towards the east end 24. This is the same view taken from runway 24. 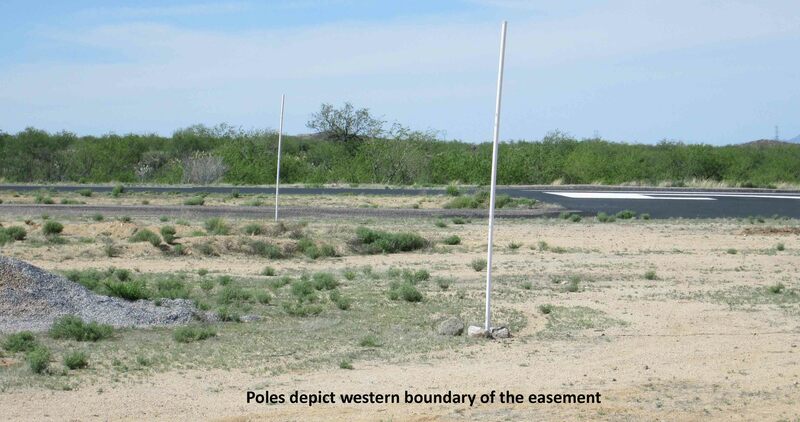 This view depicts the depth of the easement along the eastern boundary. 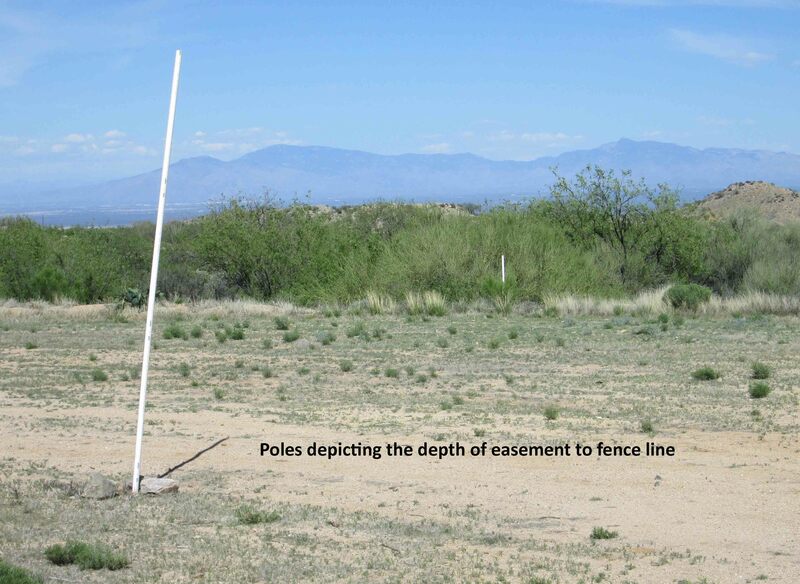 This photo displays the eastern fence line and the pole which approximates the easement marker.